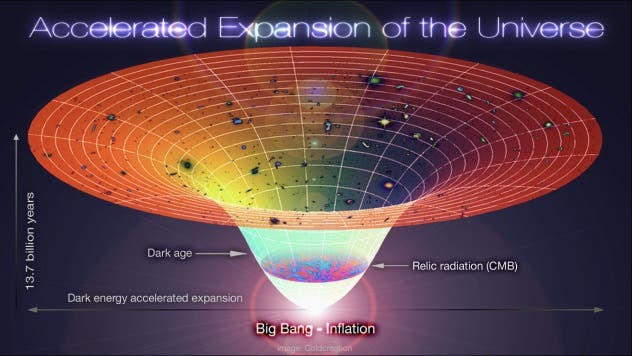 The universe is not only expanding – it is accelerating outward, driven by what is commonly referred to as "dark energy." 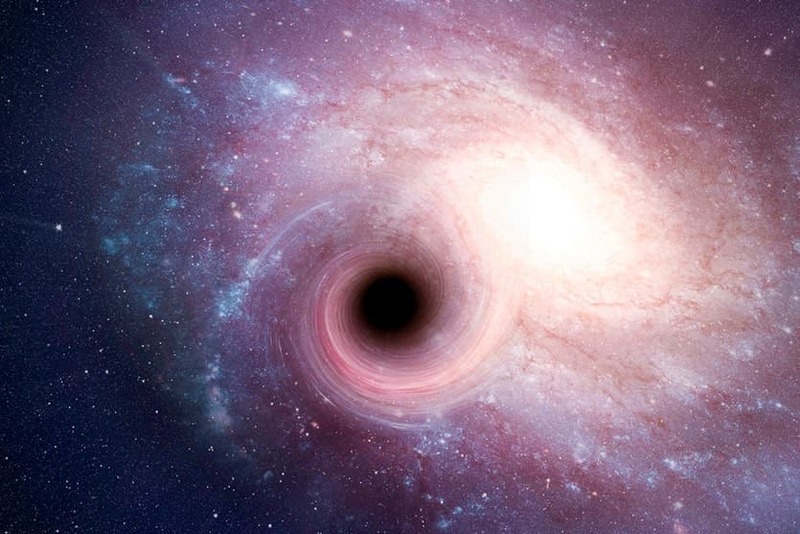 The term is a poetic analogy to label for dark matter, the mysterious material that dominates the matter in the universe and that really is dark because it does not radiate light (it reveals itself via its gravitational influence on galaxies). Two explanations are commonly advanced to explain dark energy. The first, as Einstein once speculated, is that gravity itself causes objects to repel one another when they are far enough apart (he added this "cosmological constant" term to his equations). The second explanation hypothesizes (based on our current understanding of elementary particle physics) that the vacuum has properties that provide energy to the cosmos for expansion. For several decades cosmologies have successfully used a relativistic equation with dark matter and dark energy to explain increasingly precise observations about the cosmic microwave background, the cosmological distribution of galaxies, and other large-scale cosmic features. But as the observations have improved, some apparent discrepancies have emerged. One of the most notable is the age of the universe: there is an almost 10% difference between measurements inferred from the Planck satellite data and those from so-called Baryon Acoustic Oscillation experiments. The former relies on far-infrared and submillimeter measurements of the cosmic microwave background and the latter on spatial distribution of visible galaxies. CfA astronomer Daniel Eisenstein was a member of a large consortium of scientists who suggest that most of the difference between these two methods, which sample different components of the cosmic fabric, could be reconciled if the dark energy were not constant in time. The scientists apply sophisticated statistical techniques to the relevant cosmological datasets and conclude that if the dark energy term varied slightly as the universe expanded (though still subject to other constraints), it could explain the discrepancy. Direct evidence for such a variation would be a dramatic breakthrough, but so far has not been obtained. One of the team's major new experiments, the Dark Energy Spectroscopic Instrument (DESI) Survey, could settle the matter. It will map over twenty-five million galaxies in the universe, reaching back to objects only a few billion years after the big bang, and should be completed sometime in the mid 2020's.